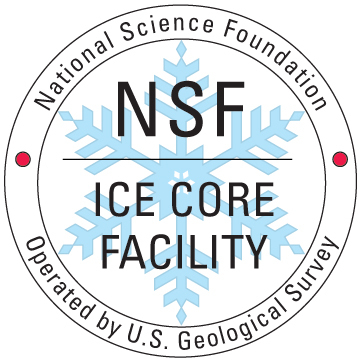 The National Science Foundation Ice Core Facility (NSF-ICF) — formerly the U.S. National Ice Core Laboratory (NICL) — is a facility for storing, curating, and studying meteoric ice cores recovered from the glaciated regions of the world. It provides scientists with the capability to conduct examinations and measurements on ice cores, and it preserves the integrity of these ice cores in a long-term repository for current and future investigations. The ice cores are recovered and studied for a variety of scientific investigations, most of which focus on the reconstruction of past climate states of the Earth. By investigating past climate fluctuations, scientists hope to be able to understand the mechanisms by which climate change is accomplished, and in so doing, they hope to develop predictive capabilities for future climate change. NSF-ICF is funded by the National Science Foundation (NSF) Office of Polar Programs and operated by the U.S. Geological Survey (USGS). Scientific management is provided by the University of New Hampshire. The National Ice Core Laboratory (NICL) was established in 1993 and renamed in 2018 to the National Science Foundation Ice Core Facility (NSF-ICF). NSF-ICF is located at the Denver Federal Center in Lakewood, Colorado, and is funded by the NSF. NSF-ICF is housed administratively within the USGS, Core Science Systems Mission Area, which is responsible for all operational aspects of the facility. 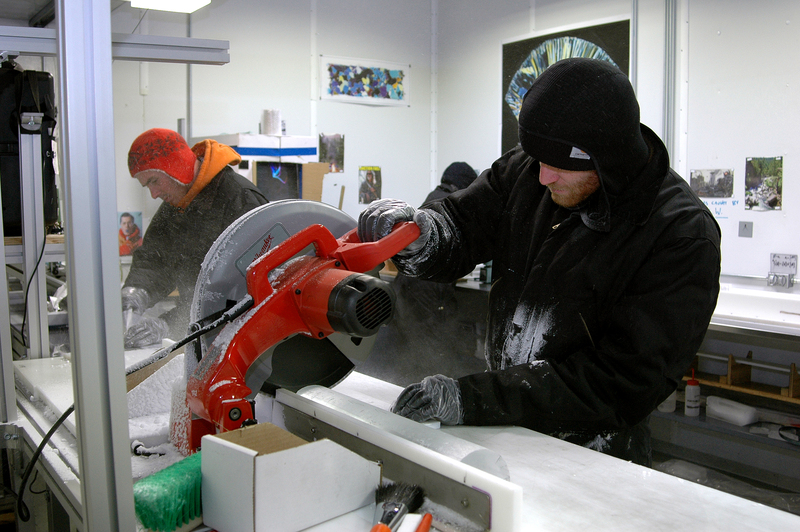 The facility's most important responsibility is for the safe and secure storage and curation of ice cores that are collected primarily by NSF-sponsored projects. The laboratory also provides the opportunity for scientists to examine ice cores without having to travel to remote field sites. 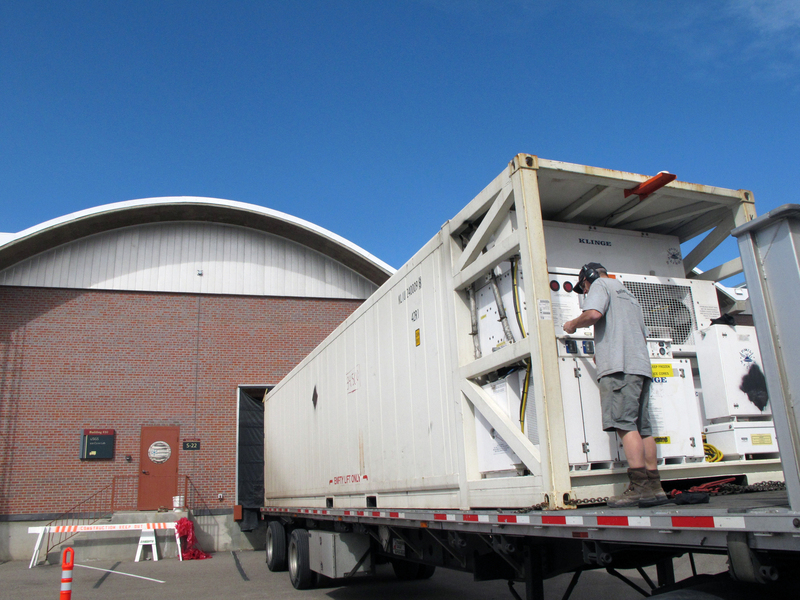 The main archive freezer is 55,000 cubic feet in size and is held at a temperature of -36°C. A second room for examination of ice cores, held at -24°C, is 12,000 cubic feet in size and is contiguous with the archive area. There is also a Class-100 HEPA-filtered, cold clean room. NSF-ICF also maintains space outside the freezer facility for material fabrication, storage, changing areas, offices, and visiting scientist workspace. The facility currently stores over 19,000 meters of ice core collected from various locations in Antarctica, Greenland, and North America. Scientific management of NSF-ICF is provided by the Science Management Office (SMO) located at the Institute for the Study of Earth, Oceans and Space, at the University of New Hampshire. 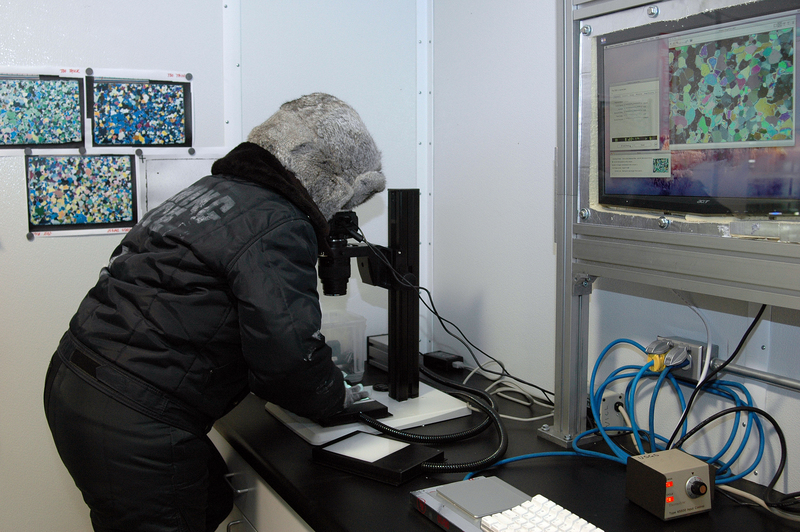 The SMO oversees the scientific operations and activities at NSF-ICF, and serves as the primary point of contact for scientists interested in access to ice cores stored at the facility and/or use of the facility. NSF-ICF's most important responsibility is for the safe and secure storage and curation of ice cores that are collected primarily by National Science Foundation sponsored projects. 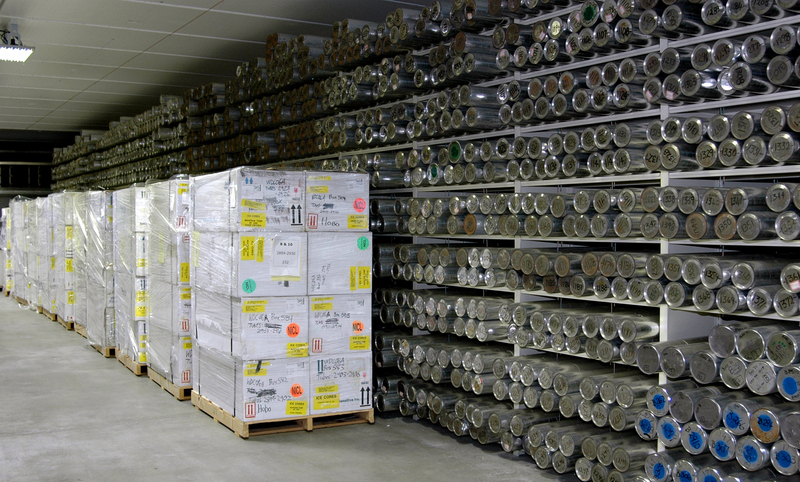 NSF-ICF currently stores over 19,000 meters of ice core collected from various locations in Antarctica, Greenland, and North America. NSF-ICF's main archive freezer is 55,000 cubic feet in size and is held at a temperature of -36°C. 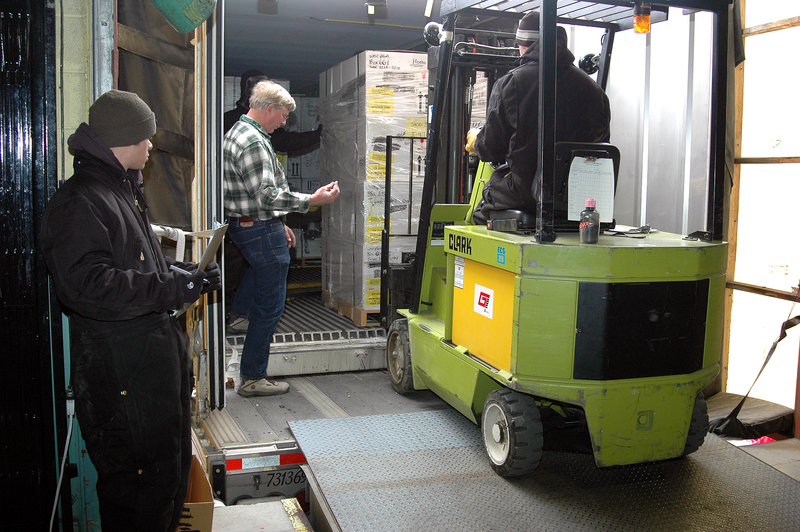 When a shipment of new ice arrives, the insulated boxes carrying the cores are quickly unloaded into the main archive freezer. Once the new ice has come to thermal equilibrium with its new surroundings, it is carefully unpacked, organized, racked and inspected. After racking, the tubes are checked into NSF-ICF's inventory system. In addition to the main archive freezer, NSF-ICF also has an exam room held at -24°C that scientists use when examining the ice cores. The exam room is 12,000 cubic feet in size and is contiguous with the main archive area. In addition, there is also a Class-100 HEPA-filtered, cold clean room held at -24°C that scientists can use. 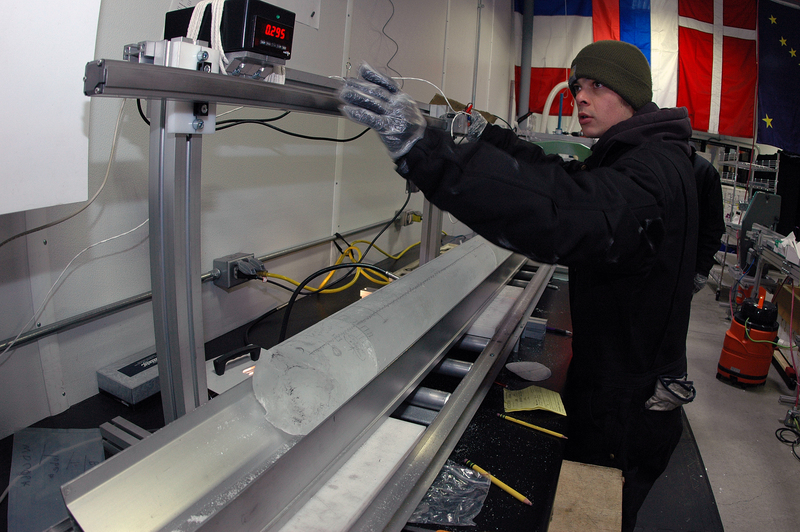 Scientists often use the exam room to cut samples from the ice cores, and then ship the samples back to their university or laboratory for analysis. 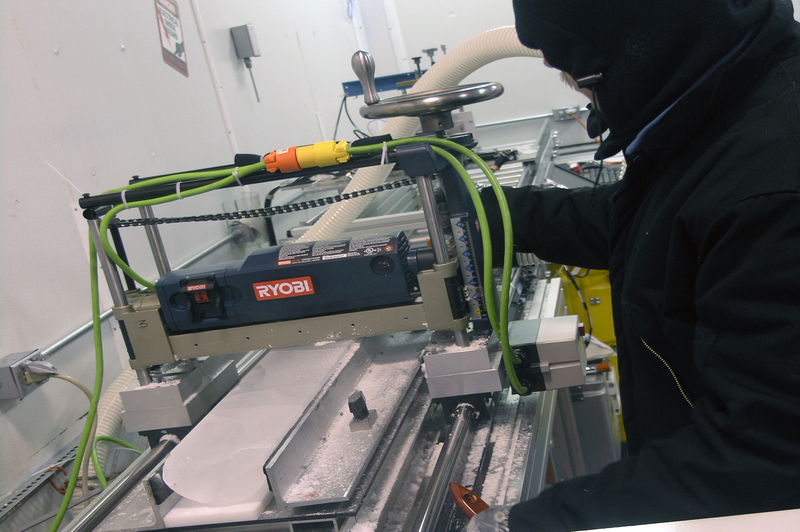 Very few analyses on the ice cores are actually carried-out at the NSF-ICF facility. Almost all of the measurements that are made on the ice cores are conducted back at the scientist's university or laboratory. A frequent activity that is held at NSF-ICF is what is called a core processing line, or CPL, for short. When a new ice core arrives at NSF-ICF, researchers from around the country, including young scientists working on their doctorates, gather at NSF-ICF for the CPL. 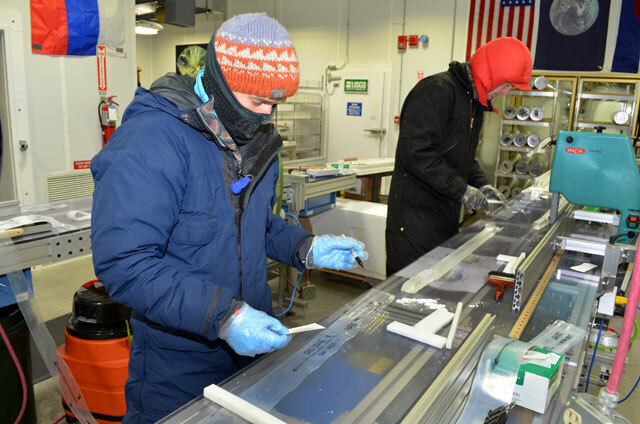 During the CPL, the scientists—along with NSF-ICF staff—measure, catalog, cut and ship pieces of the ice core to their respective universities and laboratories for analysis. Depending on the complexity of the cut plan, cores can typically be run through a CPL at a rate of 30-35 meters per day. At this rate, a 1000-meter long ice core takes six to eight weeks to process. The floor plan of the exam room will be specifically tailored to the number of scientists and the type of science or sampling which will be done during a particular CPL. As many as 10 different preparation, cutting, or analysis stations may be set up to accommodate the core with additional processing being performed off the main line if required. NSF-ICF supports a variety of outreach activities. The facility is a popular destination for field trips from schools, universities, visiting federal agencies, teachers, museum groups, and interested individuals. As such, the NSF-ICF tour schedule generally needs to be booked several months in advance. All tours must be scheduled several months in advance by completing the ONLINE TOUR REQUEST FORM. Plan to be flexible with your time. We may need to suggest alternate days or times for your visit if we can't accommodate your first choice. There are some time periods during which we cannot conduct tours due to the priorities of other facility activities or for safety reasons. NSF-ICF staff cannot accommodate "drop-in" visits or spur-of-the-moment tours. Please plan ahead. 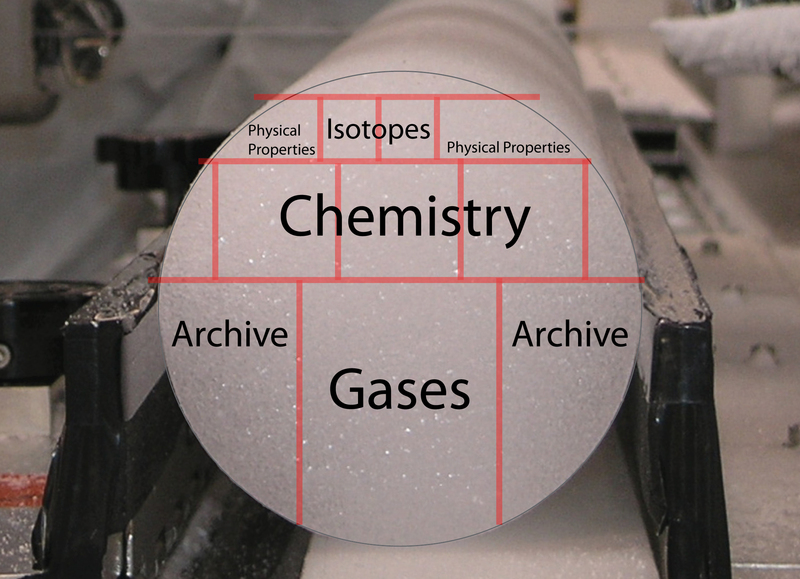 The 'Visiting the National Science Foundation Ice Core Facility (NSF-ICF)' document contains additional information to help you prepare for your visit. Please take the time after your visit to provide us with feedback. We will provide you with a link to a feedback form after your tour. Your feedback is essential in helping us demonstrate the value of our outreach activities to the public. Our normal hours of operation are 8:00 AM to 5:00 PM Monday through Friday. We observe all federal holidays. Tour hours are 8:00 AM to 11:00 AM and 1:00 PM to 4:00 PM. Media visits (e.g., film crews) should be booked as far in advance as possible and a completed 'Media Request Form' must be submitted. See also the document 'Filming in the NSF-ICF, a guide to filming in the freezer'.